This got me thinking about tracking people on-line, and some of the things you can (and can’t) do. This is how communication between two computers work; one IP address to another. They have an IP Address and so do you. When you connect to somewhere on the Internet, a record is made of the IP that was used and is kept in the logs. When you are talking about connecting to a service like a Social Media site, they are going to get as much information about you as they can. This is because it’s not uncommon for places like Facebook to be subpoenaed for information about a message/account. So not just the IP, but the user that connected and any details they can get about the computer (which legally is a fair amount) information about other messages posted by that account, and so on. Now let’s assume the user posting the message did not use any kind of stealth techniques, other than creating a fake user with fake details. Facebook will be able to provide Law Enforcement with the IP address of the computer that posted the message (and more), but how useful is that? Well, it’s very useful, yet at the same time it’s not very useful. IP Addresses are not geographically accurate; they aren’t intended to be. 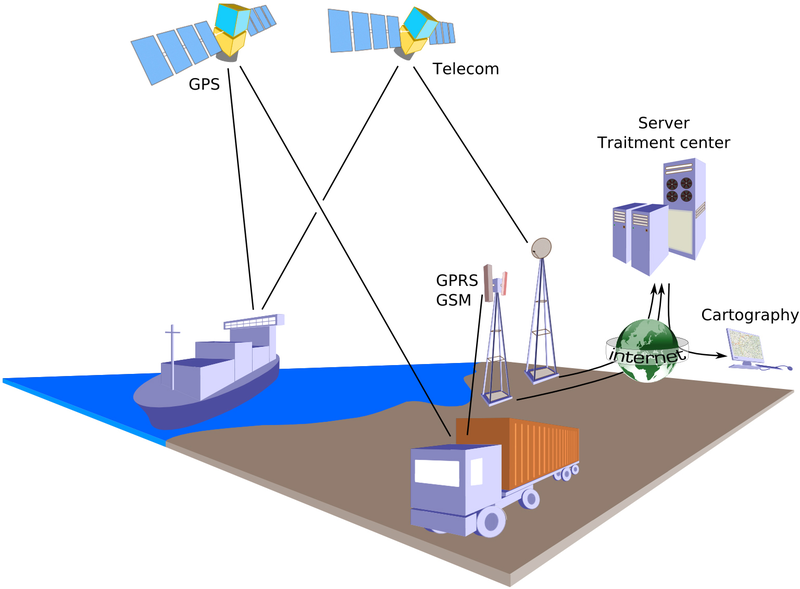 Tracking a mobile device like a cellphone is easy, not because of the IP address, but because of GPS information and how cellular towers work. You have a lot more to go on than just the device IP. The simple fact is that Geographic IP information is not 100% accurate; it’s not even intended to be. The country information you get back is reliable (98-99%); after that, the accuracy drops sharply. The province/territory information is usually accurate (around 75%); as for the city or anything else, the accuracy drops to 50% at best. As an example, I looked at the geographic location of my own IP address to see how accurate it was. I live in Spirit River, Alberta, which is a small town located about an hour north of Grande Prairie. I also looked at what kind of information came back from my mother’s IP address to use as a comparison. She lives in Vancouver, B.C., which is one of Canada’s most heavily-populated cities. My IP address (as of writing this) was 162.157.173.60, while hers was 24.85.166.233. I did some Google Searches on “Geographic IP lookup” and found a lot of free websites. I used many of them and none got my location correct! Every single one of them claimed my IP address was physically located in Grande Prairie. From a global perspective, this is pretty good. The accuracy is within 100 km. From the point of view of trying to find me however, it’s useless. Now I’ll compare this to the information I got by looking up my mother’s IP address using the same websites. In both cases (me and my mom), the country information was correct, along with the province. In her case, they even got the city right; some of them even came within 10 blocks of accurately pinpointing her real-world location. However, even that level of accuracy is useless when it comes to finding her. This isn’t the way Law Enforcement works though. They already know that this information was never meant to have this level of accuracy, so they wouldn’t waste their time even looking for it. Assuming things have gotten this far, Law Enforcement has a case for criminal wrong doing, so with the IP information they received from Facebook, they can find out which ISP owns that address. They then need to go to the ISP to find out more. The ISP can check their logs to find out which device had that address at the time, and which customer was using that device. Finally, after all that work they have a legally-obtained address. In one of my previous Newsletters, I talked about online Bullying. Making a threat like this is serious and just like Bullying, people treat it accordingly. Educate your kids and make sure they understand this is serious stuff. Law Enforcement will not be amused if they find the one(s) responsible and discover “It was just a joke”. Unless you go out of your way (WAY out of your way), you’re not as anonymous as you think you are. If you have any questions about Geographic IP locations, you can always reach out to your TRINUS Account Manager for some stress-free IT.